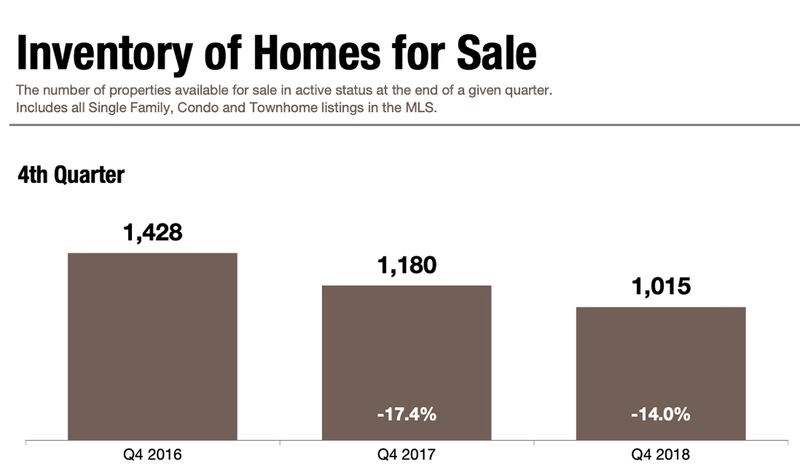 Inventory of Homes fell 14% in the 4th Quarter of 2018. A continual decline of existing inventory is the driving force in our market, and a good aspect for Home Sellers. Less inventory means less competition for your home and the likelihood of higher prices compared to larger inventory. CLICK HERE for a complete analysis of the current market.